We provide microscopic tissue evaluation and pathology report generation for both regulatory and investigative projects. StageBio’s pathology team is SEND-ready and eager to work with you on your next GLP or non-GLP study. 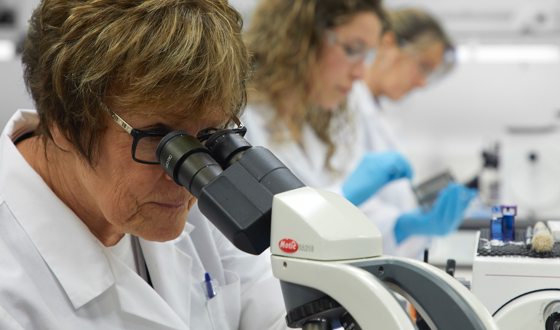 19 board-certified veterinary pathologists are on the StageBio team. Pathology services can be provided using previously prepared histologic slides, or from slides prepared by StageBio’s laboratories. Xybion's Pristima® and Instem’s Provantis™ software are both available for pathology data capture. Alternatively, StageBio pathologists can record data directly into your data capture system. High-quality photomicrographs can be taken, annotated, captioned and included in the pathology report upon request. StageBio’s team of pathologists are available for remote and/or on-site pathology peer reviews. Necropsy supervision by a board-certified pathologist is available on-site at your necropsy location. Expedition is an option for pathology results and reports. Can your pathologist evaluate a study using our software? Yes, StageBio's pathologists can record data directly into your software, or directly into StageBio's software (Xybion Pristima® or Instem Provantis™). 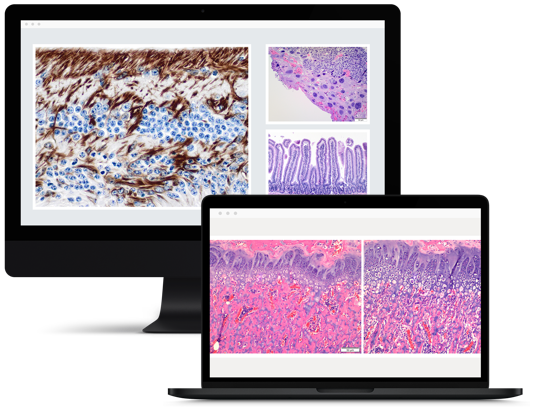 Can StageBio produce digital images for pathology reports? Yes, we can provide high resolution digital images directly from slides. 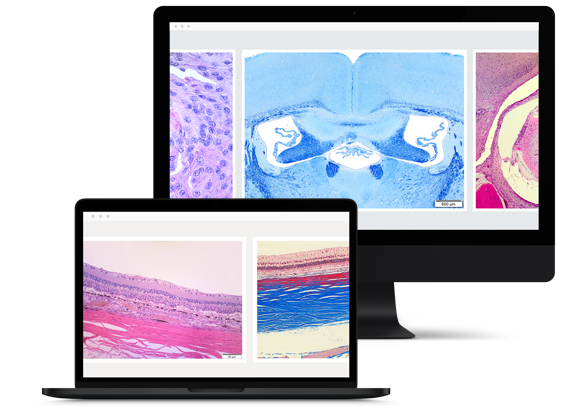 Low and/or high magnification images can be generated, annotated and captioned for inclusion as an appendix of your pathology report. You provide the input regarding how many pictures are to be taken, and which diagnoses are requested for representation in the images. Can the pathology report be formatted to my specifications? Absolutely, StageBio can produce a report using either the format you provide or our standard format. StageBio's dedicated pathology staff is second-to-none. StageBio is a proud member and supporter of the Society of Toxicologic Pathology and the American College of Veterinary Pathologists. Outsourcing your pathology needs has never been easier!